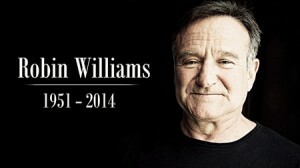 Robin Williams: Could the Enneagram Have Made a Difference? The remarkable actor, comedian and humanist, Robin Williams, who left us too soon, was likely an Enneagram Type 7*, the type that comes to believe that to assure a good and satisfying life you must keep life expansive, upbeat, and flowing. It’s a type structure that believes that life should not be restrictive or limited by suffering and agony in a world that underneath you experience causes pain, distress, and frightening restrictions. Similar to 7s in general, Robin’s attention likely focused on positive options and opportunities so that he wouldn’t get trapped in pain and suffering. He probably became a glutton for new experiences and adventures. In reading biographic material about Robin, we can see how he tended to stay stimulated with ideas and adventures and avoided sad or painful feelings, even though these feelings were lurking below the surface and, of course in time, surfaced. Robin was able to manifest a depth of feeling, a longing for wholeness and acceptance, and the welcoming of all possibility in his movies. Depth was a core part of his roles, including his characters in “Good Will Hunting” and “Dead Poets Society.” This “darker side” seemed to lurk within him, but perhaps without his acceptance. He likely feared sinking into darkness and suffering. In his relationships, he would have most likely been optimistic, possibility-oriented, pleasure-seeking, and adventurous in an effort to avoid limitation and suffering. But, at times, he may have also expressed preoccupation, longing, deep distress, and moodiness.